This episode we bring you the quizzical interrogatory of William Walsh. In this excerpt from his new book Questionstruck, a text composed entirely of questions extracted from the writings of Calvin Trillin, Walsh impresses upon us the incredible ability of questions to suggest a world through their hunger for answers. Even as the questions speak to each other, we despair of answering them. But the pleasure of inhabiting a beautifully unfinished and unfinishable world is a delight well worth the frustration. Please enjoy William Walsh. 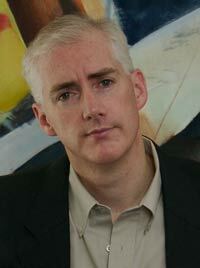 For more, read William Walsh's Apostrophe Cast Interview and also visit his blog.